This rich golden liquid with faint aroma is a wonderful gift of Nature. Not only it is a delicious and healthy alternative to overly processed white sugar, honey is the miracle cure for many ailments. The fascinating process of making honey begins when the bees collect the flower nectar in their mouths. This nectar then mixes with special enzymes in their saliva. The bees carry the honey back to their hive where they deposit it into the cells of the behive’s walls. For more than 2000 years, honey has been used to treat a variety of ailments through topical application. Honey is known to heal the wounds faster. It acts wonderfully for both the external and internal wounds. Gastric or intestinal ulcers are known to be cured by honey. The antiseptic and antibacterial property of honey has been proven only recently. As an antimicrobial agent honey may have the potential for treating a variety of ailments. Antibacterial properties of honey are the result of the low water activity causing osmosis and hydrogen peroxide effect. If you have a sore throat, honey can be used to alleviate the effects. Take one tablespoon of pure natural honey, mix it with ½ tsp. lemon juice and swallow the mixture slowly. You will feel better almost immediately. The mixture coats the throat alleviating discomfort, and the antibacterial, antiseptic properties are good for the throat as well. Honey is also rich in mineral content. It contains iron, copper, silica, manganese, calcium, potassium, sodium, phosphorous, aluminum and magnesium. Hence it is an instant energy booster. Honey can be used to cure afternoon fatigue. Mix ½ tablespoon honey in a glass of water. (Sir the honey well to mix it with water, as pure honey is much concentrated and do not mix with water unless stirred.) Sprinkle a little cinnamon powder and drink the honey-mixed water. You will feel better. Honey is also a wonderful nerve-soother. If you happen to suffer from insomnia, take one or two tablespoon honey after the dinner. Honey heals the burn faster when topically applied with Aloe-Vera gel and bandaged. It even soothes the burning sensation. Once I happened to burn my fingers while ironing. The mixture of honey and Aloe-Vera gel worked wonder for me. Honey taken with cinnamon powder is said to alleviate the symptoms of asthma. 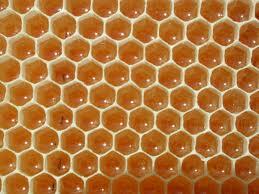 Honey is also widely used in skin-care. Studies have shown that it has significant antioxidant properties. It is also an anti-irritant. As such, it is often used as moisturizer and cleanser. 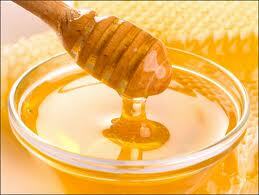 Honey attracts and retains moisture and softens the skin. Honey acts as both cleanser and toner and is often used in soaps, cleansers and lotions. It is a wonderful healer, a bounty of mother Nature. This entry was posted in Food and Nutrition, Healing, Health, Lifestyle and tagged healing, Honey. Bookmark the permalink.